Every food business needs a plan and strategy to determine where products are positioned. When you are building that strategy you need to consider where your customers are focused. We are not saying blindly follow your customers, but we are saying you need to know where they are going and determine if that direction makes sense for your business. 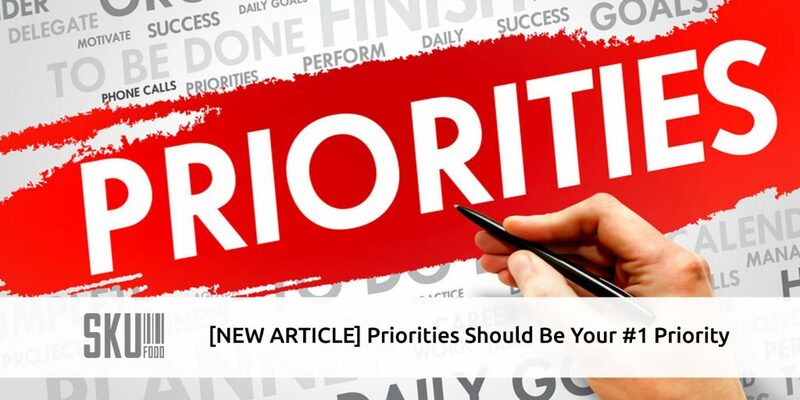 You probably do not have a lot of influence over the priorities your customers set, however your results will be influenced significantly by these priorities. Every food business should have a clear definition of the priorities for the business. You need to have a clear idea of what is important, where your business is going to invest and what the outcomes will be. All of the segments of your business need to be aligned with these priorities. Your sales team will only be successful if the production team is delivering products the customers and consumers will buy. It might be easier to manufacture something else, but if it isn’t what people will buy, you have a problem. Seems simple but there are businesses out there where the alignment within the organization just isn’t reality. Every food business should also have a clear understanding of where their customers are investing time and resources. Most retailers publish these or they will tell you, if you ask. Once you have your own business priorities and those of your customers you can review the alignment you have with each customer. This is important to understand, but it does not mean you have to change everything in your business. What it does mean is you will know where you should see synergies and where there could be gaps. Then you can decide what is right for your business. For example if your business objective is to grow sales at 10% but your existing customers are looking for sales to grow at 2-3% then there is a gap. Perhaps your items are outpacing categories or you intend to spend more to generate a sales lift. If that is the case, great, if not you have some work to do. This process will also allow you to see when your customers are working on initiatives that you do not have on your radar. An example of this would be in areas like distribution or IT. Departments you do not have as much access to. A retailer building a flow warehouse will have an impact on you. They will be looking for more frequent deliveries and perhaps get away from full pallet quantities. Comparing your business priorities to your customer’s business priorities is a great way to ensure you are aligned. You will be in a much better position to succeed.